There have been rumors for a few years now that when the next generation Dodge Challenger is introduced, it will be smaller and lighter, making it a better head-to-head competitor for the Mustang. However, a report from Automobile Magazine suggests that when the next generation Ford arrives, it will actually grow in size, possibly rivaling the dimensions of the Challenger. The current generation of the Ford Mustang is code-named internally as the S550 and it is expected that the next generation will be code-named the S650. For many moons, it was expected that the S650 would arrive in or around 2021, which would make sense with the S550 being introduced for the 2015 model year. It was also expected that the S650 would be similar to the S550, but based on this Automobile report, everything that we have expected about the next generation Mustang could have been wrong. According to this report, citing an insider outside of Ford Motor Company, the S650 Mustang will be larger than the S550, due in part to the shift to the new CD6 chassis architecture. The current Mustang rides on a chassis that is unique to the performance car, but the next generation will share the module CD6 platform with the new Ford Explorer and the Lincoln Aviator. 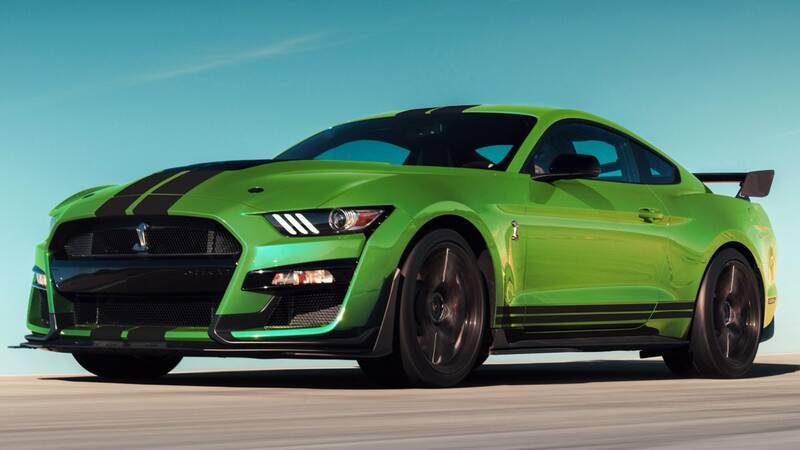 This shift could lead to a larger Mustang and with the Challenger proving to be so popular with its larger dimensions, Ford could go to a larger performance car as well. For those wondering, the current Mustang has a wheelbase of 107.1 inches and an overall length of 188.3 inches while the current Challenger has a wheelbase of 116.2 inches and an overall length of 197.9 inches, so the Dodge is about 9 inches longer, all of which is between the wheels. The Challenger is also 3 inches taller and most significantly, several hundred pounds heavier, which is the biggest concern with a larger Mustang. If Ford can increase the dimensions of the Mustang without increasing the curb weight, it would lead to a roomier, more comfortable car, especially for those folks in the back seat. However, the odds are good that few Mustang owners or shoppers would trade extra rear seating space for more weight and decreased performance. In addition to the news of the next Mustang possibly being larger, there is also a chance that it will arrive much later than expected. Automobile reported that rather than coming in 2021, the S650 will not arrive until 2026, with another mid-cycle refresh between now and then. Honestly, with the S650 possibly not arriving for 6 more model years, we could see more than one refresh before the next generation Mustang arrives. I would like to see the base Mustang have: a 2750mm(108.268 inch) wheel base to make the rear differential move rearward 1.168 inches, a 4750mm(187.008 inch) length by taking 1.3 inches off the rear of the car(for total of 2.468 inches off the rear overhang), a 1350mm(53.150 inch) hieght, and a 1925mm(75.787 inch) width not including mirrors. I don't care how big it gets but I hope they change that ghastly front end design only a mother (or a catfish) could love.